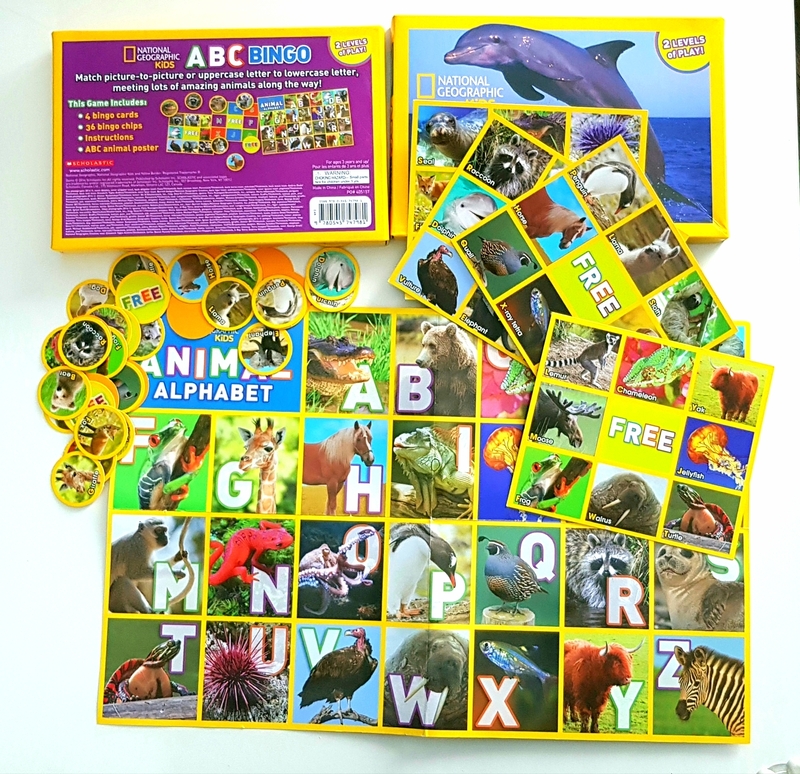 This combo of animal lover was specially selected to help to develop your child's language and literacy skills. 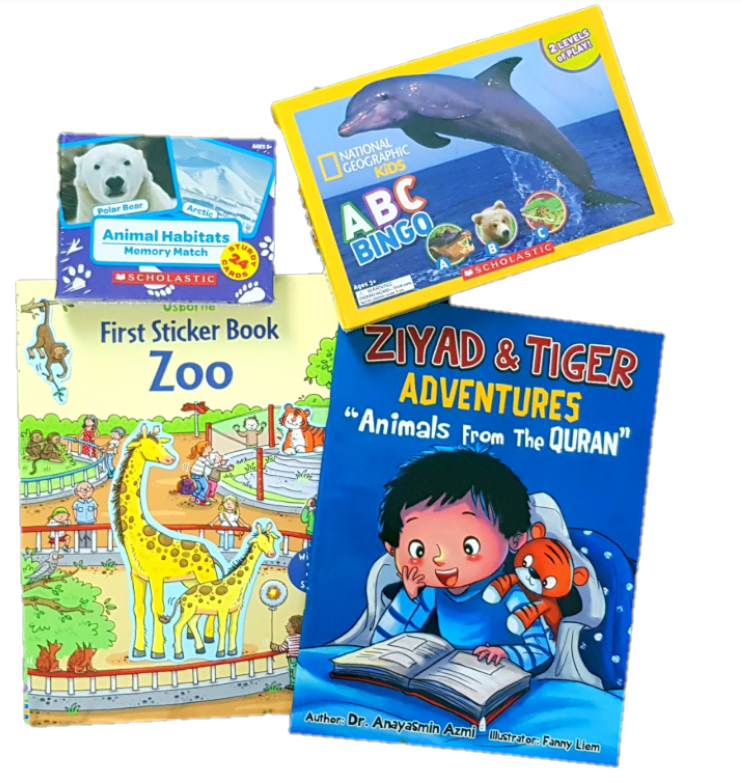 Reading to a child helps to improve his receptive and expressive language skills, as well as increasing the attention span and listening skill. In the same time, a child loves to explore and being empowered in his own learning, hence the other 3 items are included to promote active participation from your child. 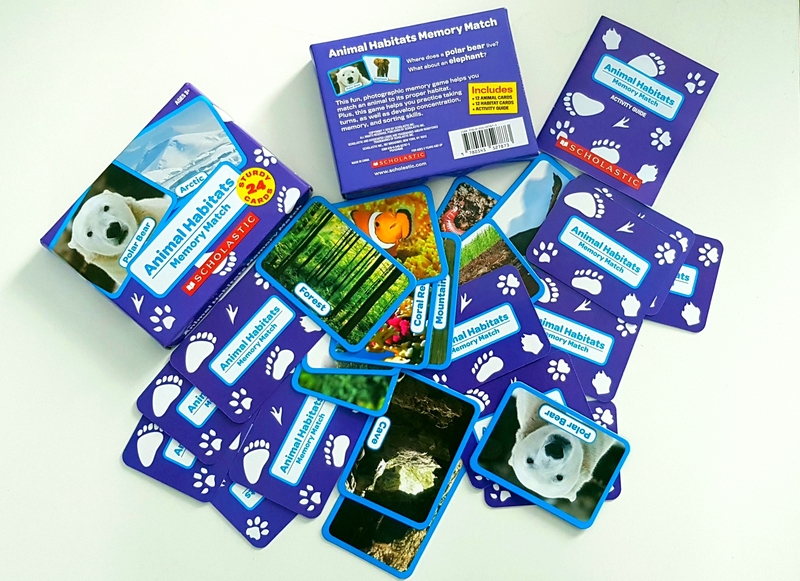 This package works the best when adult's support is available - guide and talk to your child while he explores the cards and stickers. 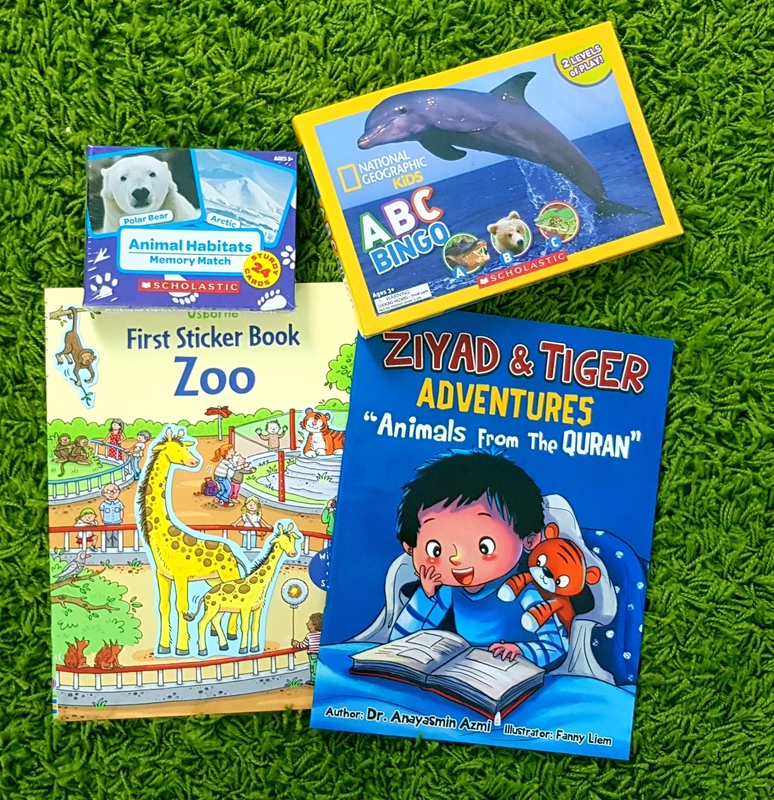 You can always make the learning experience more memorable and fun by visiting a zoo, a jungle or even watch Youtube to watch the real animals! 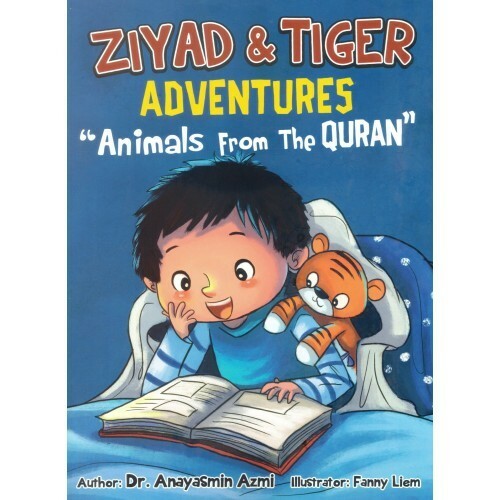 A story book - Ziyad and Tiger Adventures: Animals from the Quran. A sticker book - Usborne First Sticker Book: Zoo. A box of ABC bingo. A box of Animal Habitats Memory Game.